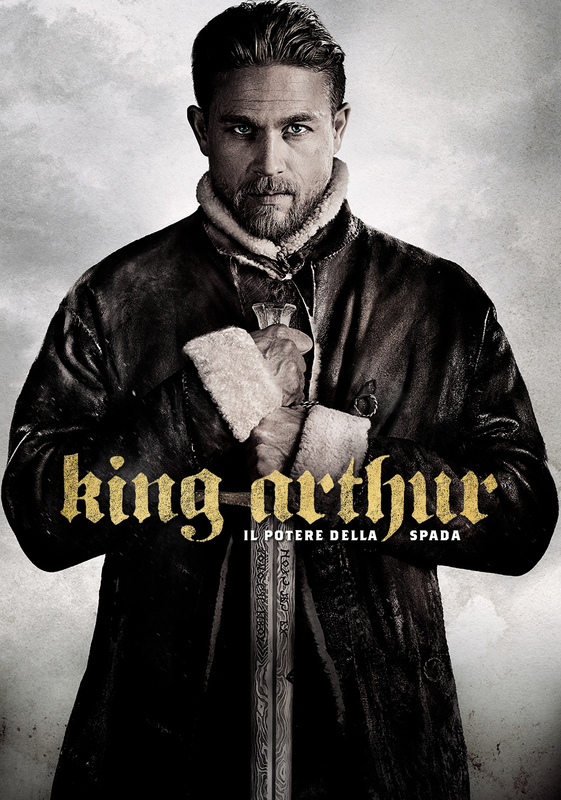 King Arthur: Legend of the Sword is a movie that takes more inspiration from Lord of the Rings than Excalibur. Although it was very poorly received by critics, earning a 29% on Rotten Tomatoes and a 41/100 on Metacritic, audiences responded to it more positively. Common complaints about the movie were that it was difficult to follow and poorly paced, making it seem confusing and long despite a fairly straightforward plot. Another common (and justified) critique was that the movie failed to follow Arthurian legend. Although there are many works advertised as “Arthurian” that fail to follow the typical plotlines of the genre, they usually do so in a way that deliberately evokes the original myth. For example, they subvert specific plot points to make the story reminiscent of the original, but clearly adapted to fit a new story. Legend of the Sword, however, has a completely original plotline that takes place in a pseudohistorical setting. “Pseudohistorical” should be taken to mean that, while it has a general historical aesthetic and feel, major changes have been made to history and there is no attempt made to follow any real historical events. Most high fantasy is pseudohistorical as the genre draws inspiration from the Middle Ages. Legend of the Sword therefore feels like a new fantasy franchise that takes a few names from Arthurian legend in order to generate interest in an otherwise unknown film. One critique of the movie was that it was historically inaccurate. To be clear: when discussing historical accuracy, none take any issue with the use of magic. While there are “accuracy” issues in the film, ones about “accuracy” almost always have to do with the presence of non-white actors. This criticism is so common that it is a symptom of a larger problem that plagues the fantasy genre as a whole and, as Caroline Siede has argued, particularly for popular fantasy such as Game of Thrones. Legend of the Sword does an admirable job in casting non-white actors despite the common failure to do so in fantasy movies. This is one of the best reasons, in my opinion, to hope that they will continue the series despite its poor reception. If a fantasy film can succeed with non-white actors, that could establish a precedent that could change the industry for the better. Alternatively, if a movie with non-traditional casts fails utterly, then that could be falsely blamed on the presence of “historically inaccurate” ethnicities, helping people justify keeping their fantasy casts white. While Legend of the Sword defies industry standards by giving large supporting roles to non-white actors, it takes a step back with its female characters. Arthurian women, in the original legends, are often treated as objects while taking little or no personal action in the narrative (save for female villains, notable for being the only women who take action, and those actions are evil). While modern interpretations of the legends tend to change this for the better, Legend of the Sword is very odd in how small a part the female characters play to the overall narrative. The two most significant female characters are Lucy and the Mage. Lucy is one of the prostitutes who raise Arthur, and the only one with a name. She is beaten (off-screen) by Vikings in the beginning of the film. The resulting confrontation between Arthur and the Vikings is the audience’s introduction to Arthur’s personality (i.e., her trauma is used to introduce a male character). She is later murdered in front of Arthur with the threat that other women will follow should Arthur prove uncooperative. As The Verge put it, this film’s female characters “are murdered onscreen to make the film’s endless series of tough men a little sadder, angrier, and tougher.” To this end, the only significant female character is the Mage. Although she is the only magical ally Arthur has, she never uses any “offensive” magic (unlike the numerous male mages). She participates in battles from afar, brooding into the camera with CGI placed on her pupils, remotely controlling animals to fight for her. Although she is conceptually interesting, the audience learns nothing about her or her motivations. 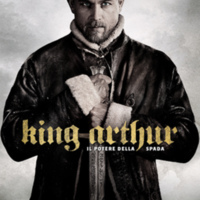 Eleanor Vaughan, “King Arthur: Legend of the Sword (2017),” Medieval Hollywood, accessed April 24, 2019, http://medievalhollywood.ace.fordham.edu/items/show/13.